I'm so happy to share with you The Lady Project 2104 Holiday Gift Guide! This is the second gift guide I've shot for The Lady Project (see the Summer Guide here). I had Olivia Rodrigues come in on styling duty again but I have to say she went above and beyond and did wayyy more emailing than she had to to get this photoshoot together. 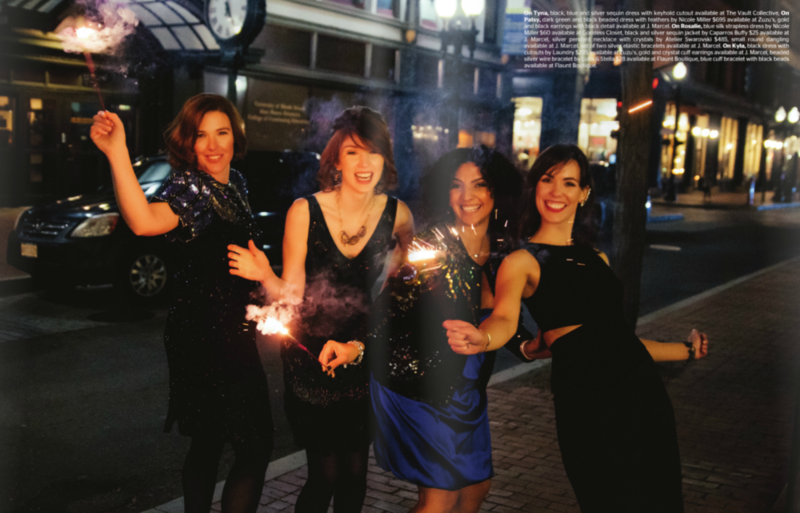 Our models were Patsy Culp, Tyna Caldarone, Kyla Covert, and Rosalie Berrios. Ali Lomazzo was our makeup artist and Shelby Lambert was our hair stylist. A big thank you to Sarah Dillionaire for putting together the whole guide! It's beautiful! I really love being part of The Lady Project. I've met made some close friendships through the group and started new business ventures because of it. To see if there is a chapter in your area and to join, check out their website!